Former delegate to the UN Convention on International Trade Law Raj Bhala claims that free trade agreements like TTIP could further undermine the World Trade Organization’s function as a negotiating forum. WASHINGTON (Sputnik) — Free trade agreements like the Transatlantic Trade and Investment Partnership (TTIP) could further undermine the World Trade Organization’s function as a negotiating forum, former delegate to the UN Convention on International Trade Law Raj Bhala told Sputnik. On Friday, the week-long eleventh round of the TTIP talks wrapped up in Miami, Florida. The United States has been a major supporter of the TTIP, in addition to the Trans-Pacific Partnership (TPP) trade deal. "The marginalization of the World Trade Organization [by TTIP, TPP], which is what observers and commentators like the Russian and the Chinese leaders have been saying — that criticism is particularly poignant with respect to… the negotiating forum," Bhala said on Friday. The World Trade Organization, Bhala asserted, will remain a key mechanism for trade policy review and dispute settlement, but its third primary function as a negotiating forum for broad deals that include all countries is at risk. "And there’s a long list of such countries… basically most of the Middle East, if not all of it, sub-Saharan Africa and some of the Latin countries," Bhala explained. TTIP, TPP and other free trade agreements, however, actually exacerbated a World Trade Organization that had already marginalized itself to a large degree, Bhala argued. "The World Trade Organization marginalized itself because it got so bogged down in complicated details about various Doha round texts… since 2001," he observed. 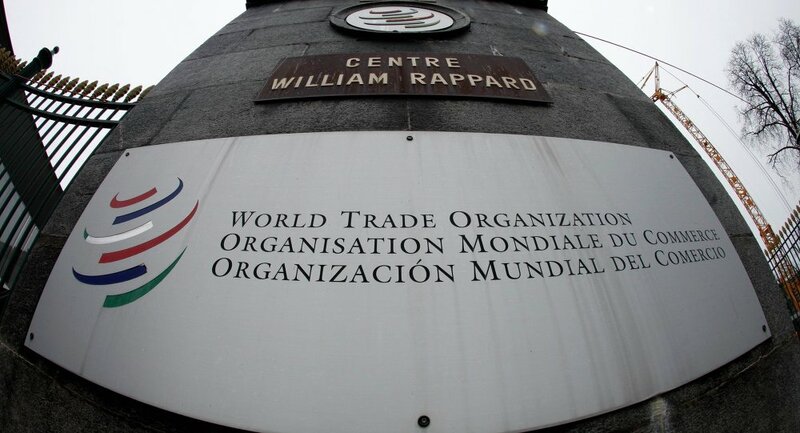 The World Trade Organization’s inability to produce effective agreements catalyzed countries to pursue free trade agreements, like the TPP and TTIP, on their own accord, Bhala claimed. An effective trade policy operates on three levels, the former UN delegate elaborated, including multilaterally, regionally and bilaterally, which the United States has been doing. The United States and other countries pursued bilateral and regional alternatives to the World Trade Organization because the Doha rounds have failed to produce text for a workable free trade agreement. "By 2008, when the Doha texts were not approved and no one wanted to take them, is the year when the United States shifted its attention to TPP," he added. The hotly-debated TTIP agreement seeks to deregulate trade between the United States and Europe and create the world's largest trade zone, encompassing more than 60 percent of global production. The TPP deal comprises 12 nations of the Pacific Rim region, including the United States, Canada, Australia, Japan, New Zealand, Mexico, Taiwan, Peru, Brunei, Chile, Singapore and Malaysia. Bhala is the author of "International Trade Law: An Interdisciplinary, Non-Western Textbook." His forthcoming book, "TPP Objectively: A Neutral Examination of History's Largest Free Trade Agreement," will be published in mid-2016 by Carolina Academic Press.